This chapter presents the potential and challenges of a new approach for the design of a platform aimed to foster and support the use of collaborative techniques in actual educational settings. CeLS is a web-based environment aimed to provide teachers of all subject domains and levels with a flexible tool for creating, enacting and sharing CSCL activities. CeLS special feature is the controllable data flow: the ability to selectively reuse learners‘ artifacts from previous stages according to various Social Settings in order to support design and enactment of rich multi-stage scripts. CeLS offers content free templates and a searchable repository of sample activities previously implemented with students. Teachers can explore these resources and adapt them to suit their needs, or create new scripts from basic building blocks. During the last four years the system was piloted by teachers from 13 Colleges and Universities and by school teachers. The chapter presents CeLS approach focusing on its unique features, examples of activities implemented with students and some insights on teachers as developers of online collaborative activities and as active contributors to the development of the environment. One of the declared advantages of technology for teaching and learning is its potential to support collaborative learning. The actual realization of this potential depends on the tools and facilities available to teachers. The first generation of e-learning systems regarded learning as an individual process mainly based on content resources. As a result, the corresponding standards developed for Learning Management Systems (LMS) focused on the organization of the resources. Additional tools for conducting free communication with the teacher and between peers (discussion group boards, chats, groupware) were provided, but these elements were not integrated with the other parts of the LMS. Collaborative activities have existed and were successfully implemented by teachers well before the era of e-learning. These activities are not just free discussions or creating group products, but instructional strategies that comprise of well-defined structures (scripts), consisting of distinct stages that are interconnected and based on each other in various ways. Scripting is used to promote learning by structuring and regulating the interaction so that learners are compelled to follow a specific pre defined sequence of activities that would have a better chance to foster the cognitive process appropriate to the learning task (Dansereau, 1988; King, 2007; Kobbe et al. 2007). According to Dillenbourg (2002) the definition of a script requires five attributes: the task that students have to perform, the composition of the group, the way that the task is distributed within and among groups, the mode of interaction and the timing of the phase, while in computer supported collaborative learning (CSCL), the script is reified in the interface of the learning environment. Dillenbourg and Jermann (2007) regard CSCL scripts as part of an integrated learning approach: since CSCL should not be considered as an exclusive pedagogical approach, scripts may contain face to face and other activities (not performed in front of the computer) as well as individual elements, while the whole activity is orchestrated and controlled by the teacher. The cognitive, computational and educational perspectives of scripting computer supported collaborative learning are elaborated in a recently published book (Fischer, Kollar, Mandl, & Haake, 2007). 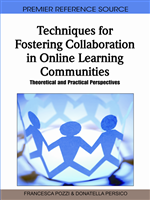 Dillenbourg and Jermann (2007) identified seven aspects of added value brought up by the use of technology for collaboration scripts: Connecting participants enabling remote activity, Sharing spaces for collaborative actions, Management facilitating logistics aspects, Reification of the script in a dedicated interface, Scaffolding as part of the activity environment, Traceability of actions for teacher analysis and students' reflection and Adaptability of the script according to dynamical data and events. New specifications for Instructional Management Systems based on the concept of Leaning Design (IMS-LD) have emerged only recently (Hummel, Manderveld, Tattersall, & Koper, 2004). The IMS-LD engine (CoperCore) and editor (RELOAD) specify a template that enables creation of synchronized and personalized and collaborative workflow through a course. New management systems were developed according to these specifications, such as COWS (Peter & Vantroys, 2005) and Gridcole (Bote-Lorenzo, et al., 2004). An advanced approach for creation, customization and reuse of collaborative sequences of a learning activity flow is addressed by LAMS (Dalziel, 2003).